Dr. Marat Terterov, Principal Founder and Director, EGF shall moderate the discussion on the "The Arab Spring of 2011: Understanding the change that is yet to come" in order to evaluate the events currently taking place in the Arab world and to discuss some of the parallels between the years of post-colonial military coups in the Middle East and this year's "Arab Spring" organized by the Oxford Society of Belgium on 27 June 2011. "Energy Security within Trans National Energy Policy" and "The European Shale Gas Revolution: New Dimensions for European Diversification"
Dr. Marat Terterov, EGF Director,and Justin Dargin, EGF Expert recently exchanged their views on "Energy Security within Trans National Energy Policy" and "The European Shale Gas Revolution: New Dimensions for European Diversification" from 30-31 May 2011, at Gas and Nuclear Energy Forum 2011, Poland"
The year 2011 has apparently brought tumultuous change to the Arab nation states of the wider Middle East. Not since the early years of post-colonialism, when some of the Arab world’s most established monarchies were overthrown by military juntas often led by daring young army officers, has the region seen events which can be broadly compared to those of 2011. 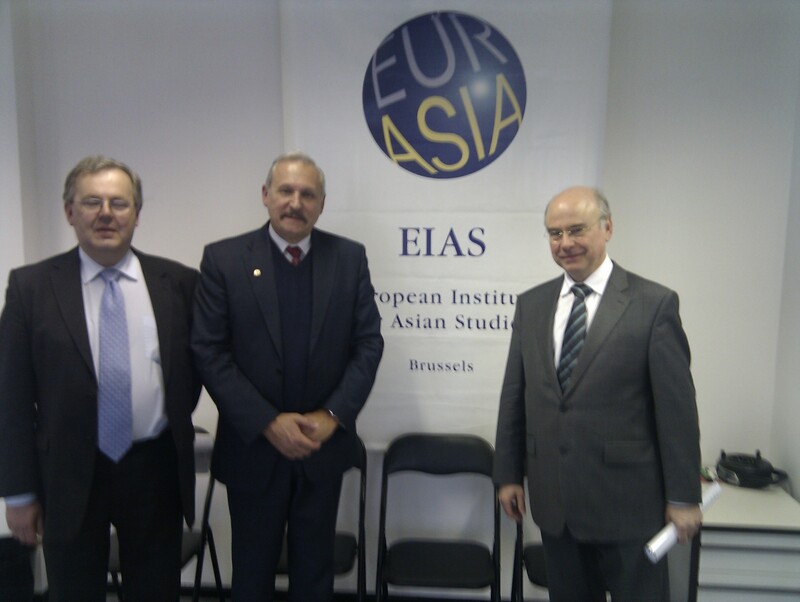 On April 5, 2011 EGF Affiliated Expert, Professor Anatoly Zolotukhin (who is also Vice-Rector of Gubkin Oil and Gas University in Moscow and Vice President of the World Petroleum Council in Qatar), engaged in a frank discussion on energy, investments and governance issues in the Russian Arctic at the European Centre for Asian Studies in Brussels. Click here for some images of the meeting. Dr Marat Terterov , EGF Director, moderated a round table on Russia-Turkey relations in the presence of the Foreign Minister of the Republic of Turkey, Ahmet Davutoglu, at a high level conference in Istanbul on March 25. Please click here for more information. On April 5, 2011 EGF Affiliated Expert, Professor Anatoly Zolotukhin (who is also Vice-Rector of Gubkin Oil and Gas University in Moscow and Vice President of the World Petroleum Council in Qatar), engaged in a frank discussion on energy, investments and governance issues in the Russian Arctic at the European Centre for Asian Studies in Brussels. Click here and here for some images of the meeting. Click here to view the EU-Gulf presentation. 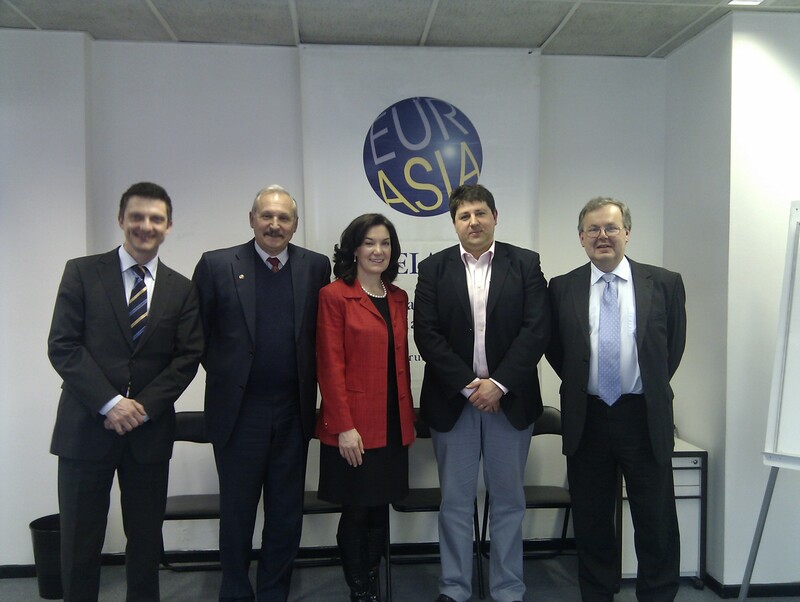 Dr Deniz Altinbaz, EGF Affiliated Expert on Turkey, spoke on EU-Turkey relations at the University of Kent in Brussels. Click here to view the EU-Turkey presentation.